Ultimately, the decision of whether or not to accept a settlement on your claim rests with only you. 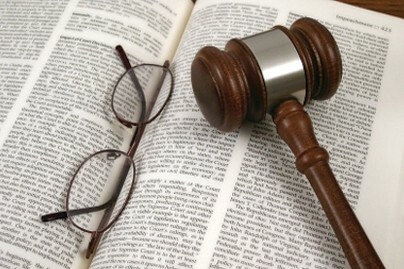 The attorney is there to represent your wishes to the best of his or her ability. That in mind, you should very heavily consider the attorney’s recommendation as to whether or not to settle. Your attorney has spent years in law school, and probably years practicing law. Those years help him or her prepare to evaluate your claim so that they can make the most informed decision possible about what your case is worth and how it might fair if you went to trial. There is usually not much reason to doubt whether your attorney is telling you about all settlement offers because attorneys are bound to divulge that information to you by a professional code of conduct that they all must follow. The penalties for violating their code can be quite severe. Just make sure that you explain your concerns thoroughly with your attorney so that they know where you are coming from, then listen very carefully as they explain their recommendation and make sure that you ask questions until you understand why they recommend that plan of action. Your attorney may want to settle because you have a weak case, or you are not a sympathetic victim. It is incredibly important that the jury feels sympathetic for the victim in a personal injury case. If you attorney feels that this will not happen for you then they will have no interest in going to trial at all. If your case is weak, your attorney will know this. The attorney may be grateful for the settlement offer that is already on the table. In fact, based on previous cases, your attorney may feel that you have been offered an award far more than what could be expected. If that is the case, you may want to listen to your attorney. After all, many auto-accident attorneys are paid on a contingency fee basis. That means that the more money they get for you, the more money they get to keep. That system works well because it would be against the attorney’s self-interest to go against your interests. The attorney may also advise settlement because trials are lengthy and expensive. If you have interest in seeing your money within the next year, settling is the option for you. Because of the costs of litigation, an attorney will only recommend it if they feel that they can do considerably better at trial then they are doing during the negotiation phase. Your attorney may want to go to trial because the defendant is drastically undervaluing the claim. If that is the case, it may be best to wait through the drawn out process rather than taking a small amount now. That is why it is important to hire the right attorney; you will be able to rest easier knowing that they are making all the right decisions. A car crash can be one of the more significant events in your life, it is important that it is treated as such. Trials can be very unpredictable, juries are difficult to read. You may get more than you ever hoped for, you may get nothing. It’s quite a gamble. In the end, if you cannot agree with your attorney, keep in mind that you always have the right to fire them for any reason. Do not do this out of merely spite. Your attorney will be paid for his or her work anyway. They will put a lien on your case so no matter who takes it will be forced to pay them a share. But you do retain the right to get a second opinion, and if you do not trust your attorney, you probably should seek that second opinion and consult a different attorney. Should You Accept an Offer of Compromise in a Car Accident Lawsuit? What is a structured Settlement?